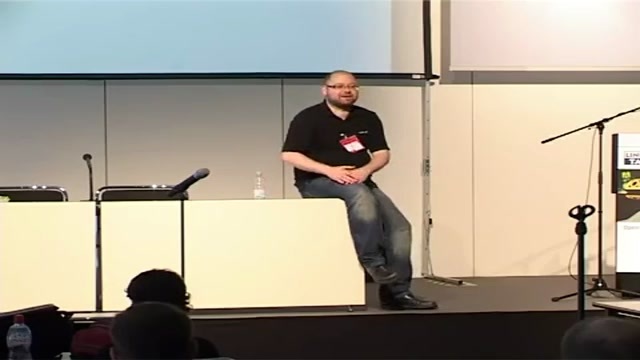 In this talk you'll learn how the JDK 7 Updates Project in OpenJDK works, and how to work within it, how to track changes, get your fixes in, and follow along as for example the Mac OS X Port gets integrated into future JDK 7 update releases. If you are curious what kind of fixes are encouraged for JDK 7 Updates, what it takes to become a Committer or Reviewer on this Project, how the community contributes to it, and what to expect in upcoming JDK 7 Update releases, then this talk is for you. If you'd like to understand how JDK 7 Updates make their way into Linux distributions, then this talk is for you. If you'd like to know how fixes from HotSpot, JAXP, JAXB, JDK 8, etc. get integrated into JDK 7 Updates, then this talk is for you. Über den Autor Dalibor Topic: Dalibor Topic lives in Hamburg, Germany, and works as Java F/OSS Ambassador for Oracle. He joined the OpenJDK project in order to help make it a successful open source project, and stayed for anchoring Java in Linux distributions, and as an all around Java F/OSS community guy. He joined the Java strategy team at Oracle to help provide community feedback into the long-term strategy planning.